- an independent, educational, research and scientific academic body of MENDELU. 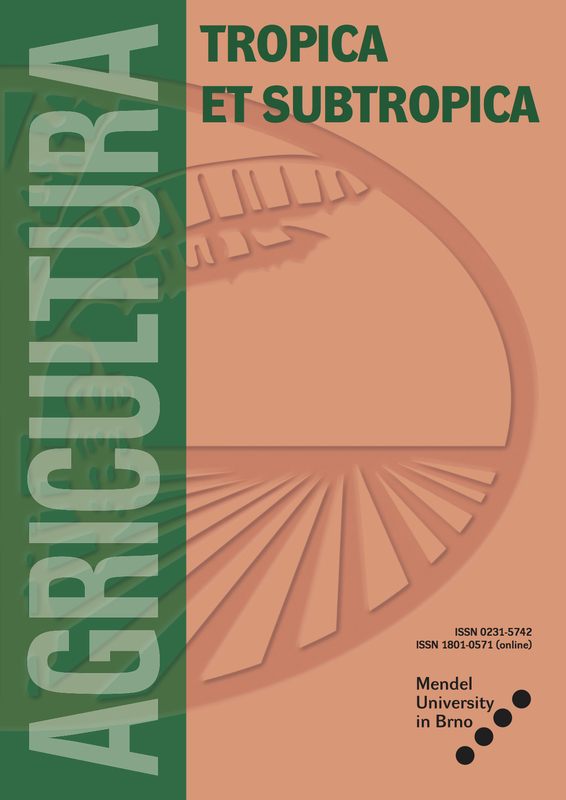 The objective of the journal is to promote the science and development of plant and animal production, animal health and welfare, issues of sustainable agriculture, agricultural technology, land and water protection, forestry, agricultural economics and rural development in tropical and subtropical areas. ATS welcomes the contribution of original research papers, review articles, short communications, and book reviews that are related to all aspects of Agriculture Science and Technology. • Manuscripts are accepted continuously, and articles are published in English. • The author is fully responsible for the originality of the paper and its subject and formal correctness; all requirements specified in Instructions for Authors must be fulfilled. • The Editorial Board reserves the right to reject manuscripts that are not in the scope of the journal, or do not meet the requirements for publication. Authors shoud have their manuscripts reviewed before submission by experts familiar with scientific style, English grammar, spelling and syntax. Manuscripts that are not well prepared and do not conform to standard English style (usage, grammar), will be returned to authors for corrections before the evaluation process. • Publication ethics standards have to be followed; any form of academic dishonesty including plagiarism will not be tolerated. The international system of units (SI) should be used. Prof. MVDr. Eva Baranyiová, CSc.